Above are the images of each share from last year’s 2018 season! 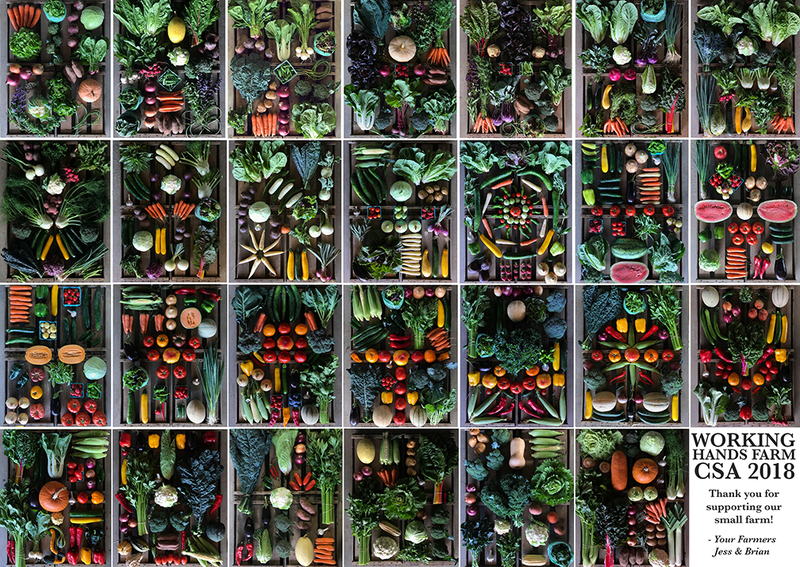 Our Spring, Summer, Fall CSA registration will begin on January 1st! Thank you all for supporting Jess and I, and our small farm. In order to reserve your share we require a $250 deposit that is non-refundable and is applied toward the total cost of the CSA. The deposit is due within two weeks of submitting the CSA member contract. Once your deposit of $250 is received we will send you a confirmation email welcoming you to our CSA program. We encourage those members who can, to pay more than the deposit upon signing up, to help your farmers absorb the initial expenses that happen at the beginning of the season. Pay by Check via Mail: Make checks out to ‘Working Hands Farm’ and send it to 7705 SW River Rd. Hillsboro, OR 97123. 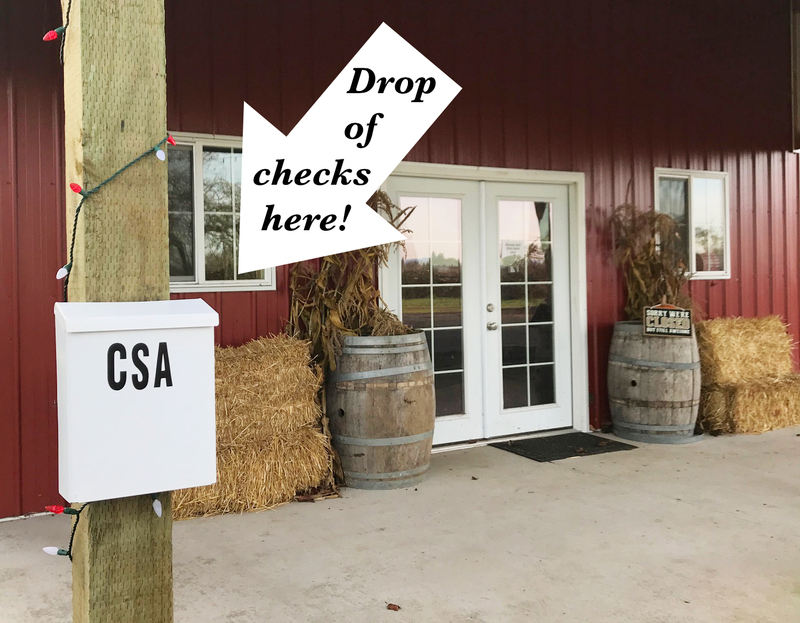 Pay by Check via drop off on the farm: If you would like to drop off your payment in form of a check on the farm, there is clearly marked white CSA lockbox located at the red barn (on your left when you pull in). Please drop it off during regular business hours (9-6pm). Click here to see where to drop off your check! We check it daily. Checks only! Please make sure to put the shareholders name & type of share in the memo. Pay Online (new option!) Select the option below to pay online. Please note that the online payment option includes the 3% + .30 online processing fee. If you wish to avoid this online fee you can pay by check. Click Here to go to Online Payment! Please be mindful of the payment deadlines as your contribution is what allows us to absorb the initial costs of farming months before the CSA season begins and it is for this reason that we do not prorate our shares. The earlier we receive our members contributions the better we can plan and ensure a bountiful harvest season.